Hey Alexa, Siri, and Co. – Can Online Surveys Benefit from Audio Captures? Audio is shaking up the tech industry. We see people talk to their smartphones and smart speakers more naturally every day. Voice technology is getting smarter by the minute with accuracy in voice recognition amounting to 95% already. ComScore predicts that half of all web searches will be voice searches by 2020. Tech companies are already widely adopting to this change – moving away from keyboard, thinking of new ways to make use of their customers’ voice. 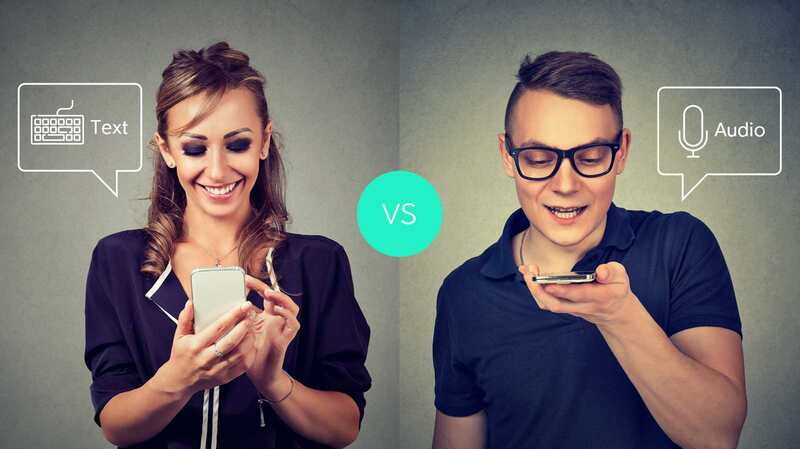 The advantages of voice over text are obvious: Speaking is easier than typing and about three times faster. We asked ourselves how to make use of this new technology and enrich survey insights. Do audio open ends have the power to revolutionize brand image measurement? To learn more about the challenges and opportunities with audio, we conducted a quantitative study in the UK and Germany with global panel provider Research Now SSI. Making use of consumers’ shift to audio and leveraging state-of-the-art text analytics to analyze the answers, we compared conventional text open ends to audio open ends. And indeed, audio open ends yielded longer answers. Audio captures proved to be more spontaneous and detailed: On average, audio respondents used about four times as many words in their open end answers as text respondents. While willingness to participate in an audio survey was comparably low, we saw higher acceptance among smartphone participants, indicating that it is a potentially powerful method, especially considering a mobile-first environment. 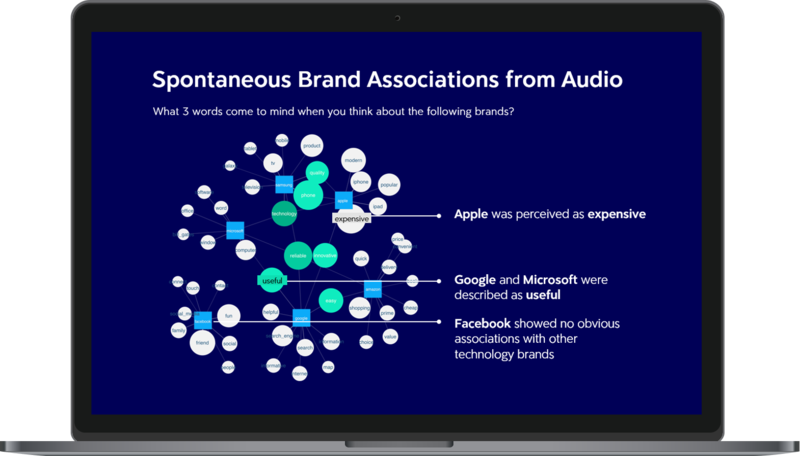 A direct comparison of audio and text responses showed comparable results for brand associations. We observed clear added value with audio due to more natural language. When people answer how they naturally talk they provide unprompted and more detailed answers - yielding more context. This makes it easier for advanced text analytics tools that use co-occurrence networks to search for interrelationships between terms and to find links between common words. Without introducing the typical bias or limitations that come with closed item questions, we can better understand connections and context in spontaneous brand associations. In terms of content, there is nothing to lose with audio responses, but certainly an extra layer of insights to gain. Consider using audio captures for brand and image research as audio recordings offer unbiased, unprompted reactions which is especially important for brand associations. Offer a seamless voice survey integration, especially on mobile devices. Acceptance of this new technology and question type was highest among mobile study participants. Leverage insights from text analytics to quickly determine connections in associations and make sense of additional context. Curious to learn more about our voice technology findings? Get in touch! We’d love to hear about your challenges with brand and image research and explore how audio and text analytics can help you.